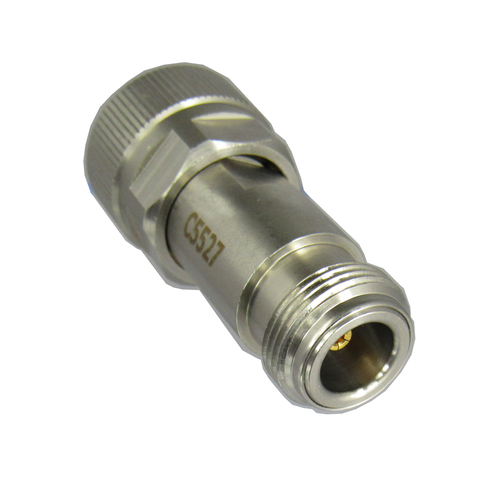 Type N coaxial adapters come in many configurations with standard N adapters being brass and spec'd to 11ghz and Precision N adapters being stainless steel and spec'd to 18ghz; we offer both types of N adapters. 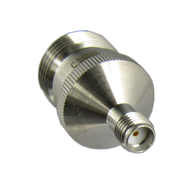 Our Type N Adapters come in various grades of VSWR. 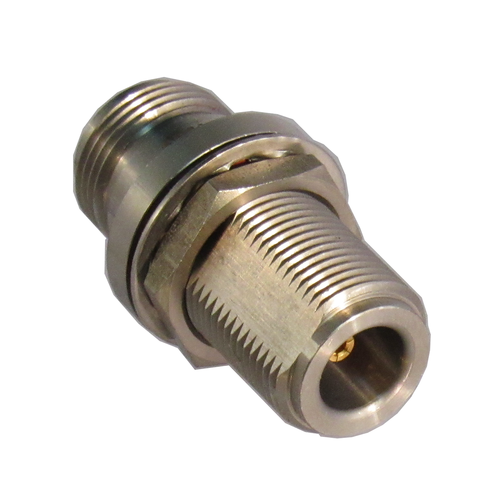 Our Type N Adapters are also available in flange and bulkhead versions. Standards committees have recently set the hex nut size to 19mm (0.748in) but there are still many hex's at 3/4, 13/16, 18mm, & 20mm. proper torque is required for precision n's, while finger tight is ok for standard n adapters. Please click on a subcategory from the drop down menu above to find the exact N Adapter you need.